Google Chrome just updated to version 49, which introduced smooth scrolling into the browser, among other features. This makes scrolling down a webpage, especially with a mouse wheel, a less jerky experience by sliding the screen instead of moving it in chunks. Most other browsers already scroll like this, but if you don’t like this change you can disable it (at least for now). 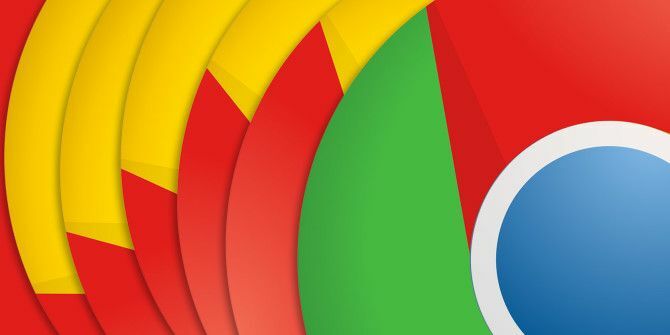 You’ll need to make a trip to chrome://flags in your browser to visit Chrome’s hidden settings, many of which are worth changing 10 Hidden Chrome Settings You Should Change 10 Hidden Chrome Settings You Should Change There’s more to Chrome settings than the basic tweaks you made when you first set up your browser. Let’s see what that involves. Read More . On that page, press Ctrl + F to open the Find dialogue and search for “smooth” to find the Smooth Scrolling entry. Click the Disable button on this item and restart Chrome to the old form of scrolling. Note that items in chrome://flags are experimental and might break something inside Chrome. Because this is disabling a feature instead of enabling an untested one, though, it shouldn’t cause any issues. Additionally, Google could rescind this option at any time in the future. If that happens, you’ll have to find another way to go back to the old way of scrolling. Most people should prefer the smooth way though, as it’s easier on the eyes Are You Nearsighted or Farsighted? Tips to Make Windows More Accessible for Young & Old Are You Nearsighted or Farsighted? Tips to Make Windows More Accessible for Young & Old Computers use print that's too small, your eyesight changes, you get headaches, and the computer gets called a lot of dirty names. Consult this guide to Windows Accessibility tools for some stress relief! Read More . There are even more hidden Google features Save Your Time With 10 Underused Google Features Save Your Time With 10 Underused Google Features Google's tools and services do everything for us. But there are a lot of features that go underused. Save a few seconds and get more done with the Google tools you use every day. Read More you can take advantage of in Chrome if you know where to look! Do you like the new smooth scrolling or do you prefer the old, jerky form? Let us know why in the comments! OPERA15+ Has A New Version With The Same Problem. Smooth Scrolling Is Now Everywhere And I Hate It. There Is Also A Way To Disable It With **Flags** Too, But It Is Very Easy To Fall Back To The Default If You Are Not Careful. I Created A Bookmark For The Specific Setting, But Any Changes To **Flags** Imply The Restart Of The Browser. Hope Some New Extension Does Not Take Too Long To Solve This New Problem I Did Not Need, In A True Practical Way. More RAM will fix that. Dropped Chrome last week due to it forever "waiting for cache memory". This led to my machine locking up for minutes at a time. Sad as I had it looking and working the way I liked it but could not find a working solution to a problem that many users seem to suffer from.